Indeterminate tomatoes often get beat up come mid-season from diseases, extreme weather or a combination of both. What they have going for them is a well established root system and a vine that loves to root itself. Remove the damaged and diseased leave from you tomato plant and cut it from its stake. Let it fall naturally and bury as much as the stem that lays on the ground 4 to 6 inches deep. 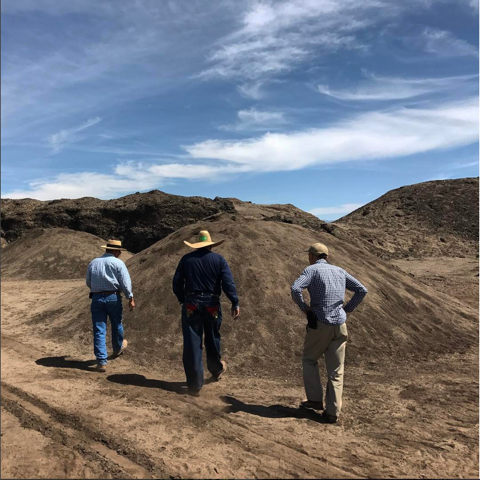 Don't add granular fertilizer to the planting trench. 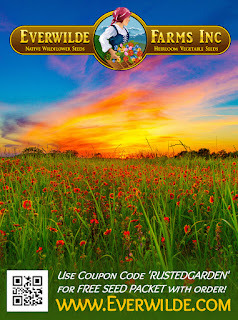 Water it in with your choice of water soluble fertilizer. If you have a good 45-60 days worth of warm temperatures, your plants will bounce back and produce till the frost rolls in. Check out my 2 videos that fully demonstrate the process. The first video shows you the basic principle and the second video shows you how I am applying to my 1-2 pounder tomato plants. Revitalize Your Beat Up Mid-Season Tomatoes! 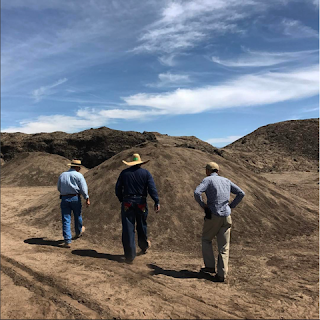 Weigh In, Stem Burying, Don't Quit! I want to introduce a company that I will be working with, at times, to help them develop ideas that meet the needs of gardeners. They started a company called Xquizite. The company focuses on bringing garden products to market that not only meet a need but also meet our needs without compromising on quality. Four words summarize the mission that drives their company… ‘Quality You Will Love’. We all use garden hoses and it is an essential tool. If you are looking for an expandable type hose I recommend this one. "Xquizite is running a flash sale for limited period of 12 hours starting today (30th July 2017) starting at 9.00AM Eastern Time. We are giving a 50% discount for a limited period of time, what we have to offer is high standard stuff. Register @ xquiziteonline.com to grab one for yourself! HURRY UP.. !!! Offer is only till Stocks Last !!" we are running a flash sale for limited period of 12 hours starting today [30th July 2017] @ 9.00AM Eastern Time. We are giving 50% discount for a limited period of time, what we have to offer is high standard stuff.. Register @ xquiziteonline.com to grab one for yourself! Their first product launches July 1st and I want to introduce it to you. It is a *Deluxe Expandable Garden Hose that met my standards for personally representing products. I look for quality, function and respect toward the consumer. The hose will store at 16 feet and expand up to 50 feet. They are 100% committed to offering quality products and satisfying their customers. They offer a 6 month return or replacement guarantee. I am looking to replace this monstrosity of a hose that is currently in my garden as it is a bit of an eye sore and it kinks very easily. The nature of this hose is to twist and bend as I drag it around. I have to backtrack way to often to keep the water flowing by fixing kinks. 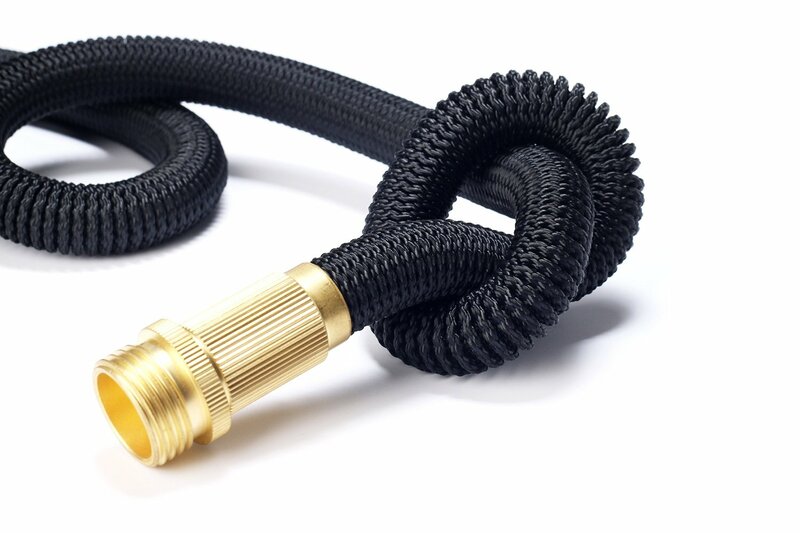 I had the opportunity to talk with them, in depth, about the design of their hose and wanted to highlight three main design points that I think are essential with any hose you choose to purchase. 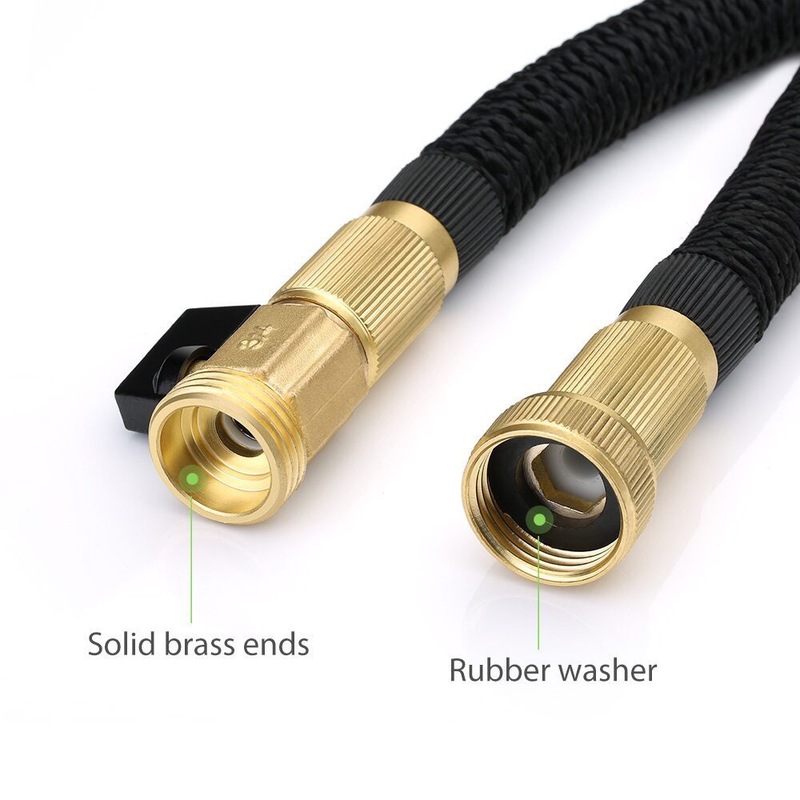 First, the solid brass connectors are a 100% must have for any hose, many are made of plastic that cracks or a softer metal that bends. The second point which we often don’t realize is that many hoses we purchase have a diameter of ½ of an inch. Xquizite Deluxe Expandable Hose has a diameter of ¾ of an inch, which greatly speeds up the time it takes to water a garden. Finally it has dual inner core and hard polyester, not vinyl, outer layer. 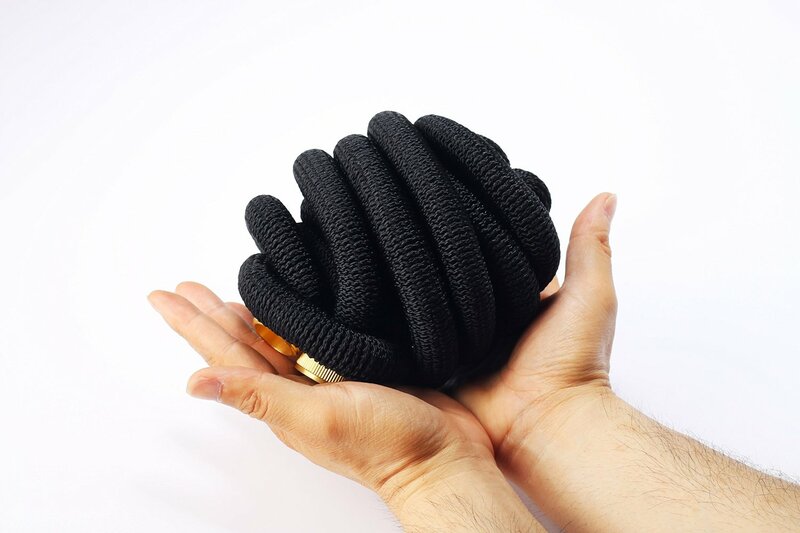 A very sturdy, yet highly flexible hose that extremely light weight. Which I greatly appreciate as I have accidentally whipped my heavy vinyl hose into vegetable plants, causing great damage at times. Tomato diseases hit most gardens. It is something I have to deal with yearly. While there is no 100% way to rid your tomato garden of diseases, you can greatly slow them down and reduce problems. Problem reduction will increase your yield and bring you greater success. Before you can begin to manage tomato diseases like Leaf Spot, Early Blight and Blossom End Rot, you have to know what to look for in the way of signs. These problems are fungal, bacterial or a physiological or nutritional issue. They are not viral. There is very little, if any, you can do for viral problems besides remove infected plants. Blossom End Rot or BER is either a physiological issue, nutritional issue or both. The video gives you examples of what it looks like. If your tomato plant can't access calcium in the soil, there is no calcium or it has a damaged root system from inconsistent watering, your plants can develop BER. The best way to address BER is to put some (not a lot) calcium in the planting area at initial planting, water evenly and consistently and if you notice signs of BER, add some calcium into the planting area again. The video outlines how to manage Blossom End Rot. You can use BER sprays which typically contain calcium nitrate. A soluble form of calcium your plants can absorb through the leaves. I sell this at my garden shop in pure form. You can make your own sprays at a fraction of the cost of store bought sprays. Early Blight, Leaf Spots and other fungal or bacterial issues are best managed by preventative leaf spraying. There are many products you can choose. The sprays essentially compete for leaf space with the diseases and prevent them from taking hold. I focus on leaf spot in this video so you can identify it. Once you notice these diseases select a spray and begin regular spraying and remove infected leaves.